Get rid of the pain for monthly web hosting payments. 24/7/365 Technical Support & much more! Ready to make the move? Buy now for just $100. What Happy Customers Have To Say? This deal provides a 5-year plan for hosting. This is a Lifetime Discount, you will be able to renew in 5 years at the same rate. 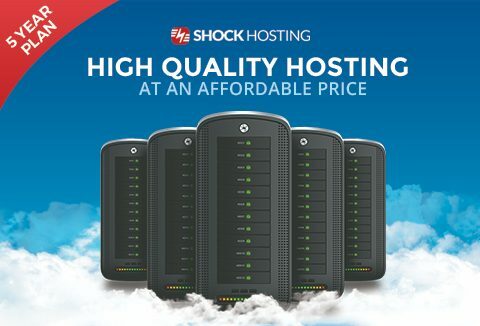 Get started on Shock Hosting- The Reliable High Quality Hosting Plan now! DealClub Member?? Get it for $75 only!